April 15th has come and gone, and though you’ve filed your 2012 taxes, you may not be in the clear. The IRS (Internal Revenue Service) has been keeping an eye on doctors, including family physicians, since they have a reputation for poor record keeping in their practices. Worried that the IRS may be ready to give your finances a thorough examination? 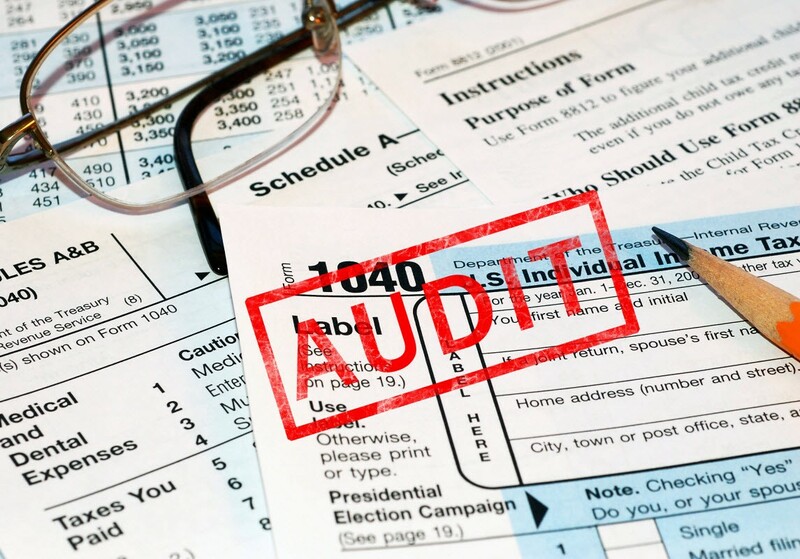 Here are some ways that you can help avoid a tax audit of your medical practice. There are some things you can do from the outset to keep your practice from being turned inside out by the IRS. To avoid inaccuracies consider hiring a tax professional you trust to do your taxes. When looking for a tax professional, seek out someone with expertise in medical practices since they will have better knowledge of how your business operates. Schedule time with your CPA quarterly throughout the year to make sure all of your finances add up. Also, when it comes time to file make sure you fill out all requested materials. If you leave anything out, that will raise red flags with the IRS, giving them the perfect excuse to pay you a visit. Take your time and be thorough on all documentation. By accurately reporting all earned income, you will greatly reduce the risk of an audit. Another area that could be cause for concern if you aren’t paying attention to the books is your deductions. This is a highly scrutinized section of your tax return and the IRS will go through it with a fine-toothed comb. For doctors and other professionals, deductions are usually related to business expenses, in particular, business travel. Doctors from all medical backgrounds tend to deduct a laundry list of items – sometimes more than they need to. While travels for conferences and conventions are business-related ventures, guesstimating expenses is extremely risky. Diligent record keeping is the best way to ensure accuracy. Medicare payments also require diligent record keeping since they are a major financial issue not only for your practice and your patient, but for the government as well. Whether it’s under-coding, over-coding, or just poor organization, medical practices across the United States need to set better office management standards. Inaccurate claims may not be intentional acts of fraud, but to the IRS, that’s what it looks like. We already touched on deductions such as business expenses, but charitable deductions also have the potential to raise red flags with the IRS. Be careful taking deductions that appear bigger than your adjusted gross income would warrant. The IRS allows you to deduct up to 50 percent of your income, and if you have a bigger deduction, you will have a better chance of getting audited. If you are actually entitled to those charitable deductions, make sure you have the paper trail to back it up. If your practice is chosen for an audit, remember to stay calm. Just because you’re being audited, doesn’t mean you necessarily did anything wrong. The IRS just wants to take a closer look at your filings. As we mentioned before, having good organization and bookkeeping – in additional to medical staff training – will give you a better chance of leaving an audit unscathed. How Much Money Does a Physician Need to Retire? Collect up to 10x your annual income, up to $2 million, with Lump Sum Disability Income Insurance. As long as you’re actively working or a full-time student for 60 days before coverage starts.